Three Muslim teenagers who bombed a Sikh temple in Germany have been found guilty of attempted murder, aggravated assault, and causing an explosion – but not terrorism. This is despite the bombers’ links to local Salafist organisations, terrorist sympathies, and accessing Islamic State propaganda. The teens were also considered at such a risk of radicalisation that all three were enrolled on anti-radicalisation programmes. One of the convicted completed his programme just four days before the attack that injured three people. Westdeutsche Allgemeine Zeitung reported that the three Salafist teens of Turkish descent who bombed a Sikh temple in Essen, Germany, in April 2016 were tried in a youth criminal court and found guilty of attempted murder, aggravated assault, and causing an explosion. Much to the shock of seasoned investigators, the federal prosecutor did not consider the bombing to be an act of terrorism. Mohammed B. from Essen and Yusuf T. from Gelsenkurchen (both aged 16), who built and planted the explosive device, were arrested after the bombing. Their co-conspirator Tolga I. from Schermbeck (aged 17) was arrested some time afterward. 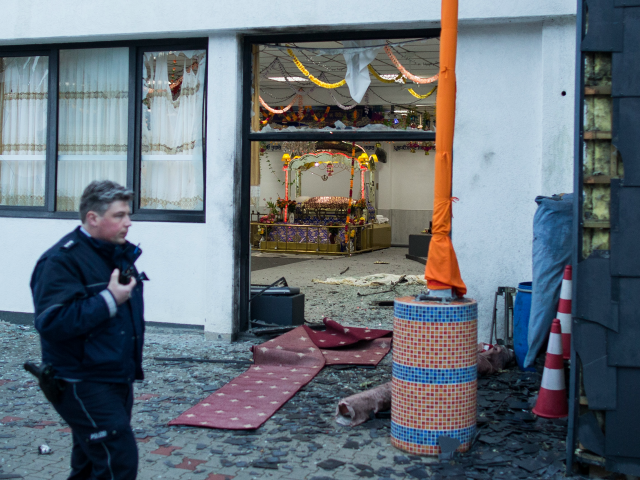 The attack happened in April 2016, the violent explosion ripping through a Sikh temple in the western German city of Essen, near Düsseldorf. Three people were wounded, including a 60-year-old Sikh priest who was seriously injured. Mohammed and Yusuf had planned to plant the bomb earlier in the day during a Sikh wedding of 200 people to cause maximum human damage, but unable to sneak the bomb into the venue, planted the device later in the evening. Authorities stated that had the device been detonated during the wedding that the toll of injuries would have been higher, including possible multiple fatalities. Prior to the attack the teens were known to police and had criminal backgrounds. They also had close ties to local Salafist organisations, and were Islamic State sympathisers. The youths had expressed outwardly their Islamist sympathies to the extent that all three were enrolled on a state-run ‘anti-radicalisation’ programme set up to combat extremism. Mohammed was referred to the programme known as “Signpost” after showing signs of radicalisation and it was found that he was using the online identity “kuffarkiller” (a ‘kuffar’ being an ‘infidel’ or unbeliever). Yusuff was referred after the school noticed worrying behavior including expressing admiration for Islamic State to teachers and schoolmates. He also praised the November Paris attacks and threatened a Jewish classmate saying that he would “break her neck”. His last session on the programme was only four days before the attack on the Sikh temple. The attack was planned and rehearsed as proven by a video found on a USB belonging to Yusuf, and Mohammed had invoices for chemicals and wires that he had bought for constructing the bomb. Investigators also found an ignition system with a remote detonator still in its box – presumably purchased for use in a future attack. All three belonged to a WhatsApp group called “Supporters of the Islamic Caliphate”, whose members were teens of Turkish ethnicity who spread Islamic propaganda and ideas. Police Chief of Essen Frank Richter said at the time of the incident that “the accused have clear links to the terrorist scene”. Authorities also believed that the youths were not lone wolves but that the attack was planned by a Salafist group part of a wider multi-city network. There was heated debate over the question of whether the attack was terrorism, with many involved in the case puzzled as to why the federal prosecutor did not take into account the attackers’ Salafist associates, Islamist sympathies, or engagement with Islamic State materials. Islamic Scholar Michael Kiefer, who evaluated the WhatsApp communications, said that the attack was not a “boy’s prank”, but a terror attack, stating that the teens “were dangerous”.